service business in our directory is not a comment on its quality. Please contact us to report concerns or to make suggestions. Your DJ Business should be listed here! List your Business for Free in your home area. Contact Paul's Halls Now !!! We have been providing DJ services for all occasions for over 10 years. services to accommodate all your personal needs. A Professional singer for 30 years specializing in oldies . I have teamed up with a professional DJ who can also provide karaoke. is committed in providing you with professional and personalized service. Light Show ~ State of the art equipment ~ Over 12,000 songs of all genres. Let us make your evening memorable. Weddings, Dances, Fundraisers, Parties... Music for any event , any age! ~ Music for all Ages and for All Occasions. ~ Husband and Wife Team with 40 years of experience. 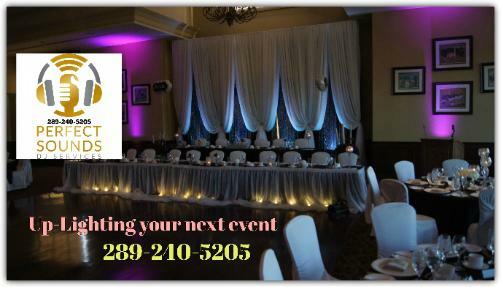 ~ We'll work with you to personalize your event to make it successful! ~ We are members in good standing with the Canadian Disc Jockey Association. Want to search for DJs in other parts of Durham Region?